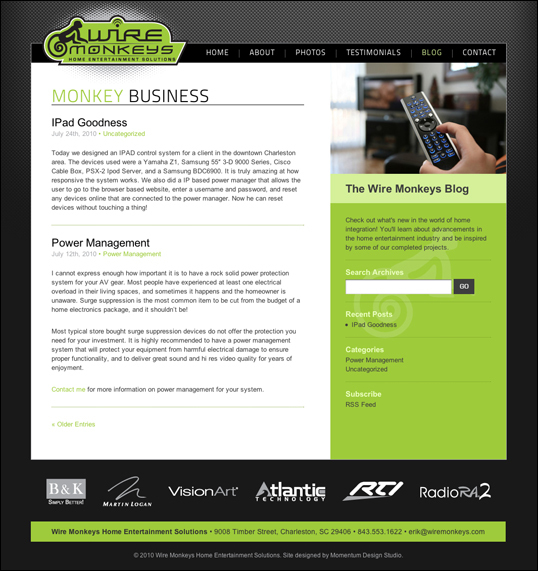 Project Details: This website was created for Wire Monkeys, a home theater installation company owned by home theater guru Erik Riggs. Having already worked with Erik on the branding of his company we had a good feel for translating the “technology” look he wanted. This allowed us to really focus our attention on how to best showcase his work as well as his knowledge in the home theater industry. 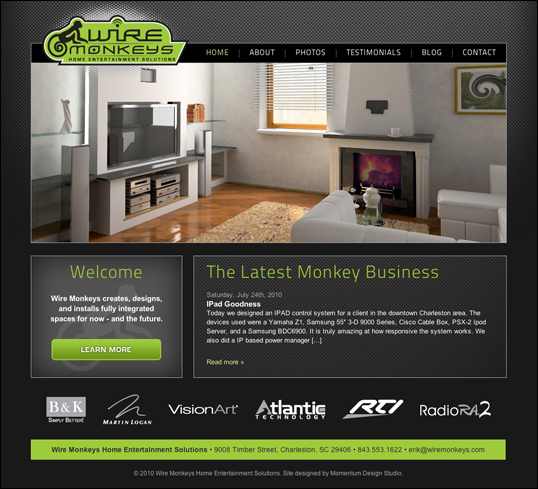 The end result is a dynamic website that always feels fresh with each visit.